We believe choice is a beautiful thing, especially when it comes to paying for rides. Today, we’re excited to announce that we have expanded our integration with PayPal to 20 countries around the world. Now riders in 10 new countries – Canada, Greece, Hong Kong, Israel, Mexico, New Zealand, Russia, Singapore, Sweden & Switzerland – can pay for their trips using PayPal directly from the rider app. We’ve partnered with PayPal since November 2013, and riders who use PayPal in our first 10 markets – Australia, Austria, Belgium, France, Germany, Great Britain, Ireland, Italy, the Netherlands, and the United States – have loved the flexibility and choice. And now millions more riders will have that same choice. Select PayPal as your payment method and take a ride. LOVE PAYPAL. NEW TO UBER? 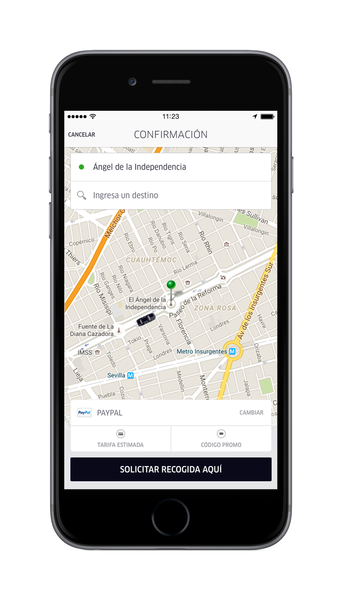 Download the Uber app for iPhone or Android, sign up and use your PayPal account as your payment method.